The girls’ swim team was able to edge out Academy of St. Elizabeth’s by a score of 83-80 on Wednesday, January 23. The meet featured many close races and neither team took more than a five-point lead throughout the meet. The score was 75-74 heading into the final event, and whichever team won 400 freestyle relay would win the meet. The relay team of freshman Maddie Soultanian, junior Caroline Grant, sophomore Laura Howard, and junior Rebecca Michaels were able to take first place and seal the win with a team record time of 4:15.03. 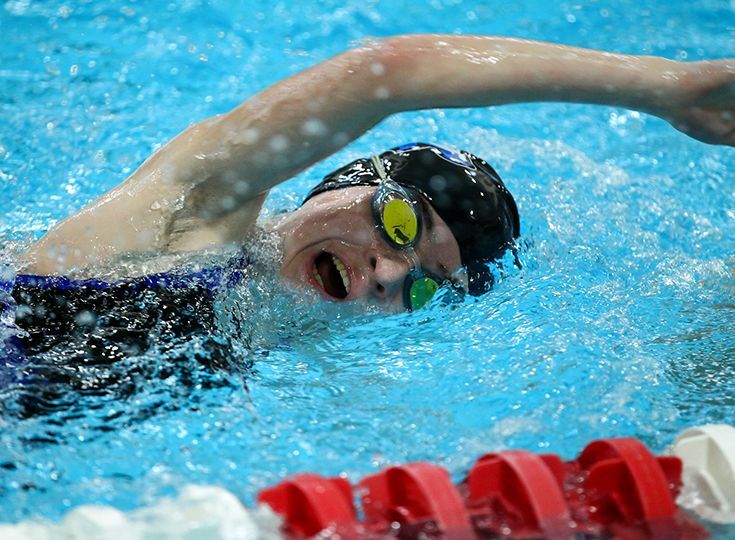 Michaels and Soultanian led the way for the Knights as each swimmer won two individual events. Michaels took first in the 200 individual medley (2:23.03) and the 100 backstroke (1:04.34) while Soultanian won the 50 (27.38) and 100 (1:00.08) freestyles. Also grabbing first place finishes was Grant who won the 500 freestyle (7:26.28) and the 200 freestyle relay team of junior Kelsey Breuer, Soultanian, Howard, and Michaels (1:55.72). The Knights are now 4-1 on the season and sit at the top of the Non-Public B standings.